This post was brought to you by Sailor Wifey. Check out her blog. School is out and summer has arrived. Flip flops and open-toe stilettos both beg for beautiful feet. Are your feet ready for the summer? The first step to beautiful feet is a pedicure. If times are hard a home pedicure can be just as good as a spa pedicure. Soak your feet in warm water to soften any calluses and/or corns. I prefer my water as hot as I can stand it, but that’s just me. There are plenty of commercial products on the market that promote moisturizing and softening of the feet…they also smell really good. 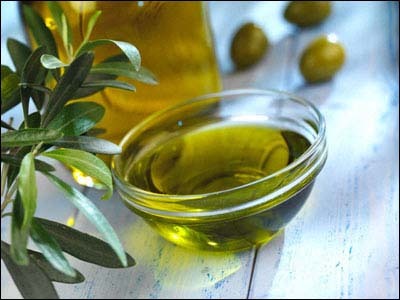 I find that baking soda, some EVOO (extra virgin olive oil), and a few drops of fragrant or essential oil(s) work just as well and are both cheaper and longer lasting. Remove dead skin. A skin file works well followed by a pumice stone to remove calluses and rough spots. I also like to incorporate a homemade foot scrubs. A simple internet search of foot scrub recipes will leave you with plenty of yummy choices. 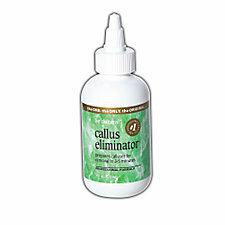 When my feet are really bad I can’t live without my Be Natural Callus Eliminator found at Sally Beauty Supply. Apply cuticle softener and gently push cuticles back with a cuticle stick. Apply a foot cream or lotion. I use my homemade mix of shealoe (whipped shea butter and aloe vera gel). I’ll be uploading a YouTube tutorial on how I create my shealoe soon. Gently swipe each toenail with alcohol to remove any excess oils and lotions. Finally paint your toenails. I paint my toenails with the exact same method as my fingernails. 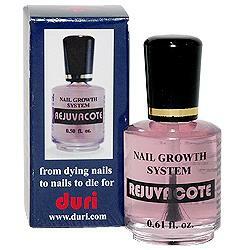 Duri Rejuvacote (nail strengthener I can’t live without), base coat, polish, and top coat. Summer polish trends are bold and beautiful. If your more conservative with your hands don’t be afraid rock out your feet and make a daring statement. Dry Pedicures are a new trend…this article features a spa offering this service, but I definitely think this is something that can be done from the home for those who don’t have a pedicure basin. Hand lotions are not sufficient enough for foot dryness especially during the summer months when your feet are exposed more often than not. Applying a thick coat of Vaseline, any thick cream, or a thin layer of Blue Star Ointment and putting on socks before will work wonders on your feet. Also, don’t forget about sunscreen. Feet are often overlooked when applying sunscreen but skin cancer and sun damage can occur anywhere on your body. Even brown girls need sunscreen so please don’t skip this step. Another tip is to keep a pumice stone and foot scrub in your shower. Some people also swear by the Ped Egg, but that thing tore my feet up so I say use it at your own risk…I don’t recommend it. To see how Kim Porter does her at home pedicure’s CLICK HERE. Do you have any special tips and tricks to help maintain your bare feet? Review: Bellacures Santa Monica – Nearby beach & Pampering = WIN! I'm glad you all enjoyed the post.